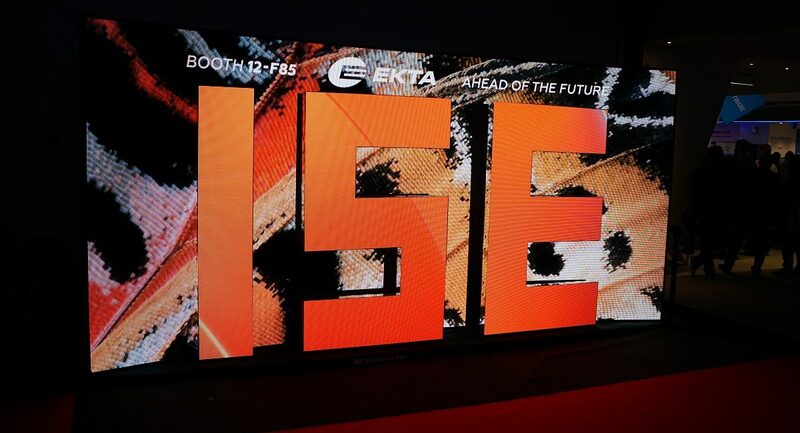 ISE (Integrated Systems Europe) is moving from Amsterdam to Barcelona, Spain in 2021 to accommodate the annual attendance records that have seen the world’s largest pro AV trade show outgrow the RAI Amsterdam, no matter how many temporary halls the building tacked on every year. ISE managing director Mike Blackman says he expects ISE 2019 and 2020 to continue attracting more people than ever for both shows before the permanent move to a much larger home for ISE 2021. Will we see the 100,000 barrier broken after almost 81,000 attendees this year? Blackman will be joined next week in Spain at the Gran Via, part of the Fira de Barcelona exhibition complex, by AVIXA CEO David Labuskes and CEDIA global president and CEO Tabatha O’Connor for a press conference that fleshes out more details of ISE’s relocation. I’ve consulted my trusty 8-Ball and come up with a few predictions for the future of ISE Barcelona and beyond (I was wishing this move happened in 2020 so I could say I had 2020 vision). If only Integrated Systems Europe had made this announcement during InfoComm in Vegas, I could have placed some bets on it. Speaking of InfoComm, the “permanent” relocation of ISE dashes my hopes of ever seeing ISE and InfoComm switch places on the calendar. I’d questioned the wisdom of having ISE in a cold-weather climate in February while InfoComm alternates between Las Vegas and Orlando in June and floated the idea of switching them when this inevitable ISE Barcelona relocation happened. On a related note, the ISE move from Amsterdam to Barcelona should mean more comfortable weather conditions for attendees every February. I’ll hedge a bit on saying that as a definite because I live in New England, where weather conditions can change from hour to hour. While Westbury National’s Brock McGinnis told me the weather shouldn’t be the focus of business travel, it is certainly part of the experience. Integrated Systems Europe’s new home in Barcelona, Spain as of 2021. When ISE 2021 kicks off in Barcelona, I expect you’ll see more end users than ever before among the attendees for that show. AVIXA, in particular, has focused on increasing the number of end users who attend its trade shows and I’d expect no different with AVIXA as co-owner of Integrated Systems Europe with CEDIA. The prospect of more end users may rub some integrators the wrong way, but it’s coming. The increased attendance only serves to feed the ISE Barcelona beast because, as the show gets larger, more people will want to see why more people are going. That will likely mean even more media coverage for ISE Barcelona—and you thought Mike Blackman had a lot of demands on his time today! Even though ISE 2021 and beyond will likely continue to shatter attendance records, there should be a lot more room to roam for attendees since the Gran Via is so much larger than the RAI even with all of its temporary halls added on. That should mean fewer bumping into others as you rush from appointment to appointment, although it could also mean more miles on your shoes. I also expect to see an expansion of the TIDE Conference concept or a similar type of offering added to the ISE 2021 schedule as a way of enticing attendees to come earlier and stay longer. While TIDE is not directly targeted at AV or systems integration, the program has been popular at ISE and InfoComm and why would organizers want to mess with success? The massive increase in trade show floor space means organizers will have more room to focus on enhancing the “experience” for attendees. That may not necessarily be through the use of augmented and virtual reality, but expect to see a larger presence of offerings that aren’t focused on new products but are more about amping up the “wow factor” of going to a trade show. 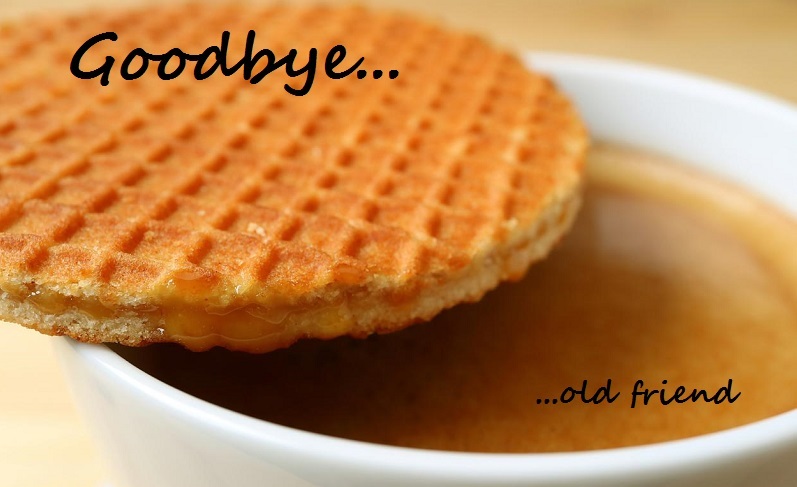 While all of my other predictions are great news for ISE Barcelona, the industry and the attendees, there’s one aspect of ISE 2021 that will be tough to duplicate as it says goodbye to Amsterdam: stroopwafels. I ate my weight in stroopwafels during Integrated Systems Europe 2017 but burned off most of the calories [or so I’d like to believe] traversing the halls on my way to and from appointments. Does Spain offer a similar portable sweet treat that will help to get me through the day?